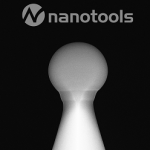 Special offer for 5 boxes of 5 AFM probes with spherical EBD carbon tips. Each package can be selected with different sphere radius and cantilever stiffness. 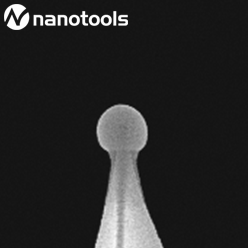 By simply buying larger package sizes of nanotools AFM probes, you automatically get a built-in quantity discount compared to the smallest packaging size. Controlled radius, pre-calibrated cantilever: spherical AFM tip with a radius of 20 nm for high performance nanoindentation measurements.